Downloading software programs from the Internet is still suspicious because of the high risk of virus and malware infection. This is why Code Signing SSL Certificates are a must have for any reputable software developer. This special SSL Certificates ensure the legitimacy of the developer’s code (Content Source Authentication) and certify that it is genuine. (Content Integrity). Without a Code Signing Certificate, your software will remain anonymous (“Unknown publisher”). As a result, hackers will be able to alter it. For this reason, the verification and authentication of the software code are essential elements towards making your software trustworthy and ensuring its security. How do Code Signing Certificates work? Code Signing is the process that confirms the identity of the software’s author and guarantees its authenticity. It issues the SSL Certificate that digitally signs its scripts and executables. To achieve this, it uses an unique cryptographic hash to bind the software to the identity of its publisher. 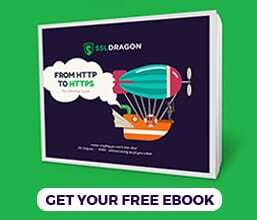 Like all SSL Certificates, a Code Signing Certificate works based on the Public Key Infrastructure – the public-private key pair. The public key, which is submitted to the Certificate Authority, confirms the signature of the data by issuing the Code Signing Certificate. On the other hand, the private key is used to sign the data and becomes a part of the software code, making any modification of the program impossible. Any attempt of changing the code will lead to an invalid signature. Also, Code Signing SSL Certificates allow you to timestamp your code if you want to avoid an unwanted expiry of your digital certificate. The program or browser either allows the installation (if the hashes match), or shows a warning and blocks the execution (if the hashes do not mact). 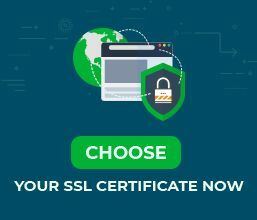 By getting a Code Signing SSL Certificate, you prevent your clients from abandoning the installation of your software because of security warnings, malware alteration or identity theft. You can see the list of Code Signing SSL Certificates that we offer on this page. It protects your clients from installing hacked, virused, counterfeit or re-packed versions of your software and digital products. any software that distributes code. After putting so much hard work into software development, the last thing you want to do is to see some random hacker messing with your code. The best way to prevent this is to get a Code Signing Certificate. With this in mind, we strongly encourage you to protect your code with the most secure encryption algorithms. Also, don’t forget to check our Code Signing Certificates offers here.